A big part of this blog is encouraging you, my reader, to sample new foods and recipes. If winter squash is not something you include on menus – let alone consider at the store – give is another try this season. 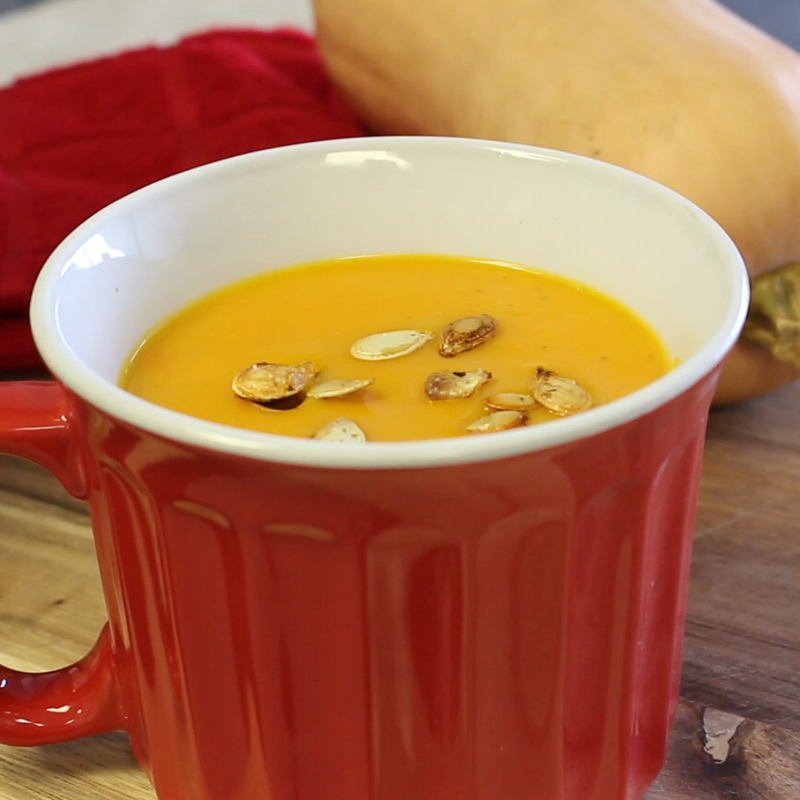 See a video of how this brightly colored soup is made step-by-step, as well as below. And happy late Thanksgiving from UI Extension! This cozy side-dish soup packs lots of nutrient-rich vegetables and will warm you up on a cold day. 1. In a large saucepan over medium-low heat, melt butter and add squash, carrots, and onion. Cook, stirring occasionally, about 10 minutes. 2. Add broth and bring to a boil. Reduce heat, cover, and simmer 25 to 35 minutes or until vegetables are very tender. Cool slightly. 3. Place one-third of the squash mixture and one-third of the liquid in a food processor or blender. Cover and blend until smooth. Move contents to a large bowl or measuring cup to hold. Repeat with the remaining squash mixture. 4. Return all of squash mixture back to saucepan and back to stovetop. Add pepper, nutmeg, and half-and-half. 6. If desired, garnish each serving with pumpkin seeds.